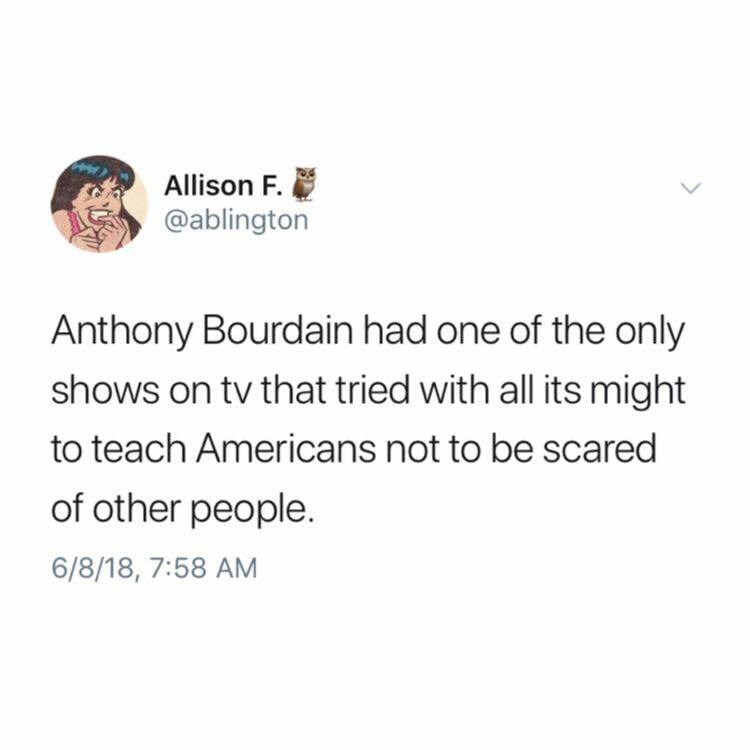 I remember the first time I ever heard Anthony Bourdain's name. It was 2005 and my husband and I had just moved back home to Michigan from his three year assignment Germany. I saw a commercial for this new show on the Travel Channel called No Reservations. 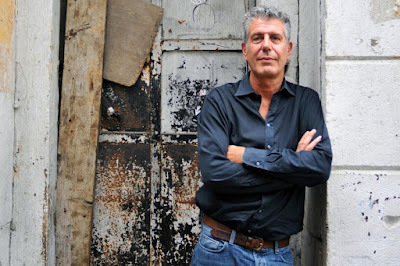 Feeling a sense of loss of our time globe-trotting around Europe, I heard his tag line, "Be a traveler, not a tourist" and I already knew that I liked him before I watched his show. That first show in Paris was a revelation and hooked me from the very beginning. He wasn't there to visit Notre Dame or the Eiffel Tower or show untraveled Americans the underwhelming Mona Lisa at the Louvre. He was there to immerse himself in the culture. He was there to humble himself to the people at their table. He was there to tell stories. And what a storyteller he was. Through his entire stint on television, whether it was on Food Network, Travel Channel, or CNN, you never got the sense that he was trying to promote himself or that he sold out on his values. He was just naturally curious about people and the world and he wanted to share his learning with his audience. But that natural curiosity came at a price. Over the past few days, so many people have wondered how we could be depressed since he had the life so many would dream of: traveling the globe, eating and making award-winning television. But here's the thing. Anthony Bourdain epitomized the distinct difference between what it means to be nice vs. what it means to be kind. Niceness is a facade, a role you play to be accepted in polite society. Niceness is how you behave to someone's face while being someone entirely different behind their back. I know plenty of nice people. I don't know that many kind people. Because kindness isn't just what you say. It's what you do. There's no bullshitting kindness. Anthony Bourdain wasn't nice. He was crass, irreverent, and biting. He told it like it was and pulled no punches. But Anthony Bourdain was kind. He spoke up for marginalized voices and wasn't too proud to admit when he was wrong. He visited "parts unknown," not to show off other cultures like zoo animals, but to show how, around the table, we all want the same things: family, friends, and community. But after a while, kindness can take a toll. It can wear you down. Because when other people hurt, you hurt too. I'm sorry you hurt, Tony. I'm sorry that you felt like the only way to end your pain was to end your life. Your presence in this world brought light to dark places and now our world is a little bit darker in your absence. Godspeed, dear Tony. Even though I never knew you, you felt like a friend. You were a friend to us all. A friend who wasn't afraid to tell you harsh truths that you didn't always want to hear, but a friend just the same. Kick Out the Jams - Bourdain's Tumblr after his visit to Detroit. It's one of my favorite pieces of writing by him. A great testimament to a life that made a difference to so many! Love this post! 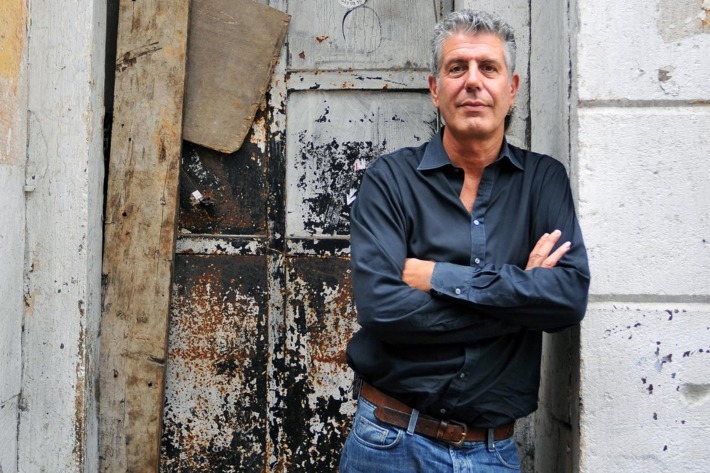 Love this: "Anthony Bourdain epitomized the distinct difference between what it means to be nice vs. what it means to be kind." I'm from the IMWAYR community, but felt compelled to visit your piece on Bourdain. Sure glad I did!